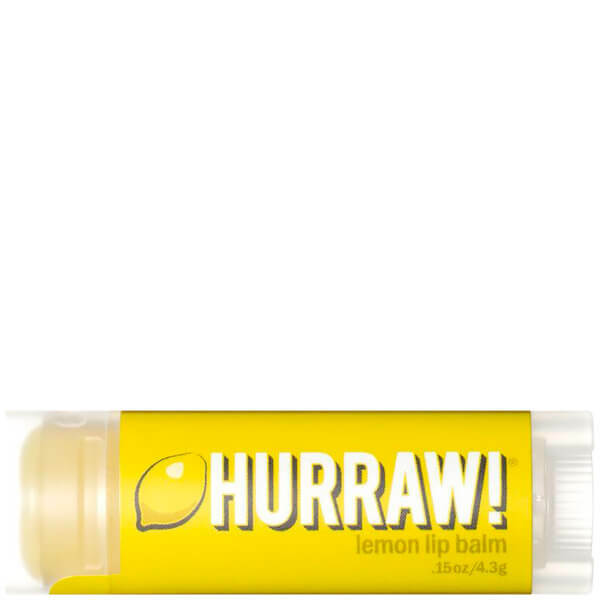 Refresh the lips with the Hurraw! Lemon Lip Balm; an ultra-hydrating formula that cares for skin using premium organic, vegan and raw ingredients. Fortified with a hydrating blend of Sweet Almond, Jojoba Seed and Olive Fruit Oil, the creamy citrus lip balm envelops lips in long lasting moisture in just one simple swipe. The balm works to eliminate areas of dryness, whilst treating the pout to an uplifting lemon fragrance. 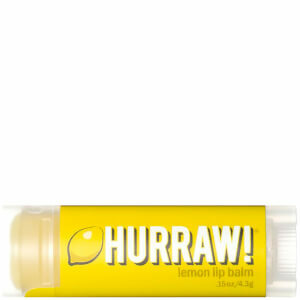 Expect touchably soft lips with an added lemony kick due to the addition of Malagasy Lemongrass. Please Note: It is advised to avoid lemongrass oil whilst pregnant. Prunus Amygdalus Dulcis (Sweet Almond) Oil, +Euphorbia Cerifera (Candelilla) Wax, *Cocos Nucifera (Coconut) Oil, *Simmondsia Chinensis (Jojoba) Seed Oil, *Theobroma Cacao (Cocoa) Seed Butter, *Ricinus Communis (Castor) Seed Oil, Olea Europaea (Olive) Fruit Oil, Citrus Limonum (Lemon) Peel Oil, Cymbopogon Flexuosus (Lemongrass) Leaf Oil, Tocopherols (Sunflower). *Organic & Cold Pressed.